It's not called Silicon Valley for nothing. 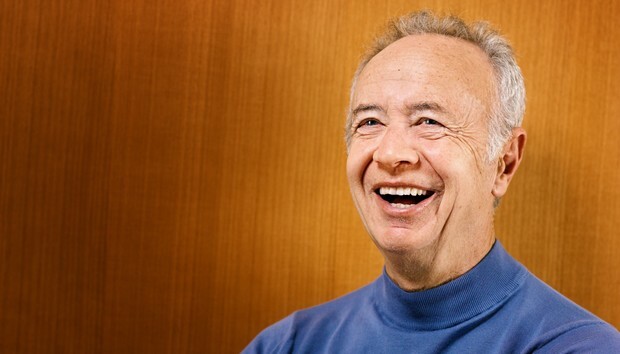 Andy Grove, the former Intel CEO who died Monday, is credited with turning the semiconductor maker into one of the world's most important companies. Intel was founded in 1968 by Robert Noyce and Gordon Moore (of Moore's Law fame), but Grove was there at the start of an incredible period for the computing industry. In the same year that Intel was formed, famed computer scientist Douglas Engelbart held a demonstration on the potential of computers. Before a conference audience in San Francisco, Engelbart used a mouse, videoconferencing, windows, word processing and other technologies to illustrate the future of computing. This "Mother of All Demos," crystallized the possibilities. Three years after the founding of Intel and this demo, the name "Silicon Valley" made its first appearance in 1971. Grove, an engineer with a Ph.D from the University of California at Berkeley, became Intel's president in 1979 and its CEO in 1987, and gets much of the credit for Intel's business success. "RIP Andy Grove," tweeted venture capitalist and inventor Marc Andreessen, shortly after the news of Grove's death was announced Monday by Intel. "The best company builder Silicon Valley has ever seen, and likely will ever see," he wrote. Andreessen's tweet is both praise for Grove as well as an epitaph for Silicon Valley. Its underlying questions are these: Is there anyone today in Silicon Valley who can build to the size and scale of an Intel? Is it even possible to do so? Grove feared Silicon Valley was losing its ability to scale -- to take something small, a startup, and turn it into something very large. Under Grove, Intel helped create Silicon Valley's hyper-competitive environment, a world where "only the paranoid survive," as he famously put it in the title of his book. Competition is the fuel of growth, and the U.S. today leads the world in semiconductors, but barely, with 51% of the global market in 2014. Nine out of the top 20 semiconductor companies are American, according to U.S. government trade reports. The industry employs 250,000 direct workers. In 2010, Grove worried about the future of America's technology innovation engine. It wasn't just Asia's ability to produce things at lower cost, but whether the U.S. could succeed without manufacturing. "The underlying problem isn't simply lower Asian costs," wrote Grove, in a 2010 essay for Bloomberg Business. "It's our own misplaced faith in the power of startups to create U.S. jobs." Grove argued that startups by themselves can't increase tech employment. What's needed is the process of scaling up, building factories that employ thousands. This no longer happens in Silicon Valley. Today, some of the most highly valued tech companies, employ relatively few. In 2015, Forbes pointed out that Snapchat had a $15 billion valuation and only 330 employees. "You could say, as many do, that shipping jobs overseas is no big deal because the high-value work — and much of the profits — remain in the U.S.," Grove wrote in the Bloomberg piece. "That may well be so. But what kind of a society are we going to have if it consists of highly paid people doing high-value-added work — and masses of unemployed?" Grove saw the job machine breaking down throughout the economy. He was writing during the Great Recession. While employment has picked up since then, in some of the occupations that matter to manufacturing, the forecast is troubling. The U.S. Bureau of Labor Statistics, in a recent update of its occupational outlook, put the 10-year job outlook for electronic and electrical engineers at "0% -- little or no change." The IEEE-USA, the largest professional engineering association in the U.S., said the BLS estimates "are probably correct." Grove acknowledged that Intel was formed at a time when scaling a company was easier to accomplish. China wasn't a factor in 1968. But with the loss of manufacturing, the U.S. is breaking the chain of experience, Grove wrote. He argued for a new systems of incentives and "an extra tax on the product of offshored labor." "Without scaling, we don't just lose jobs - we lose our hold on new technologies," he wrote. As of the end of 2014, Intel had 106,700 employees worldwide, with approximately 51% of those employees based in the U.S.
China, meanwhile, has a formal plan for gaining dominance of the semiconductor industry. Its National Integrated Circuits Industry Development Plan seeks to lead the world "in all areas of the integrated circuit supply chain by 2030," U.S. trade officials recently noted. Grove could be wrong about the risks. The work in robotics, self-driving cars and artificial intelligence could lead to all kinds of new companies and industries. Instead of going to seed, Silicon Valley may be shifting from an economy once built on computers, to something more powerful. Perhaps a new generation of people with the capabilities of Andy Grove will figure it out. But until then, his warning and legacy remains. What's the deal with European 'state of the art' cybersecurity?